Us Weekly magazine is the perfect source for readers interested in the latest news in entertainment and style. It covers the music, television, and movie industries and provides breaking news in the lives of both established celebrities and up-and-comers. The magazine also features stories that focus on stars’ nutritional and fitness routines, and these articles can often inspire readers to make healthy changes in their lifestyles. 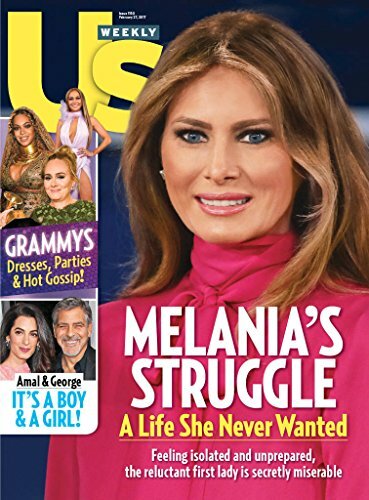 Each issue of Us Weekly magazine provides you with style advice, including a look at what clothes celebrities are wearing, what beauty products they use, and how they accessorize. It gives you tips on where you can get many of the items worn by the stars and how to recreate those looks with similar pieces. Each issue also provides several detailed articles on what’s going on in the lives of top personalities in the entertainment industry, from dating disasters to marriages or new babies. Packed with colorful photos, Us Weekly magazine provides you with an up-close look at how celebrities spend their leisure time. Whenever special events are held, like the Emmy or Grammy awards, Us Weekly magazine features detailed articles and photos covering every aspect of the awards ceremony, including what stars attended, what they wore, and what they did before, during, and after the events. This gives you an in-depth look behind the scenes at these high-profile shows. Regardless of whatever aspect of the entertainment industry you’re interested in, Us Weekly magazine keeps you informed on what’s happening with your favorite celebrities.